Whitley Carpenter is a Staff Attorney currently focusing on criminal justice issues and SCSJ’s Clean Slate Project, which provides direct legal reentry services to persons with criminal records. In her time with SCSJ, she has also explored issues related to racial profiling and police misconduct. Whitley received her J.D. from UNC School of Law in 2015. She began working with SCSJ during the summer of 2014 as a Certified Law Student. During law school, she worked with the UNC Center on Poverty, Work, and Opportunity where she focused on bringing attention to issues impacting North Carolina’s poor communities. 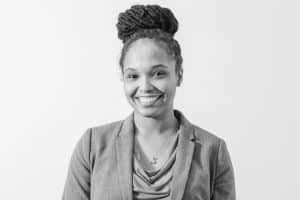 She also served as a certified student practitioner at the UNC Civil Legal Assistance Clinic and represented clients in housing and education cases. Whitley graduated from North Carolina State University in 2012 with a B.A. in Psychology and Political Science. As an undergraduate student at North Carolina State University, Whitley helped to recruit underrepresented groups of students and worked with minority and impoverished students in after-school and academic enhancement programs, and coordinated college visits for middle and high school students of color. 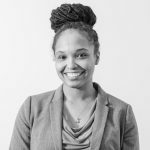 Whitley’s work regularly reflects her strong commitment to advocating for and strengthening the voices of poor, underrepresented communities, and communities of color. Ivy Johnson is an attorney at SCSJ and works primarily in the Criminal Justice section but does some work for Voting Rights as well. She grew up in Brooklyn and earned her B.A. in Government and French from Wesleyan University in Connecticut, but has been moving further and further south since. Before law school she worked at an energy and environmental lobbying firm in D.C. She then went on to earn her J.D. from the University of North Carolina School of Law. While at UNC she was a member of the Honor Board, the Pro-Bono Coordinator for the Student Animal Legal Defense Fund, and student attorney with the Youth Justice Clinic. 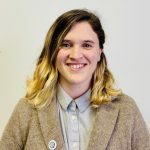 She was also on staff for Volume 94 of the North Carolina Law Review and wrote about the rights (or lack thereof) of transgender inmates in prison. During law school, she participated in over 100 hours of pro bono legal work and went on several pro bono trips to the western part of the state, where she helped clients obtain expunctions and divorces, and helped with other pro se legal work. She always knew she wanted to do work in the area of criminal justice reform, but it was her pro bono work and time with the Youth Justice Clinic that led her to SCSJ. Ivy graduated law school in 2017 and has been at SCSJ ever since. 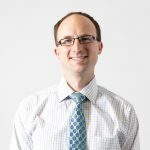 John Carella is a staff attorney in SCSJ’s voting rights team and engages in litigation regarding redistricting, voter registration, and other issues surrounding the right to vote in free and fair elections. 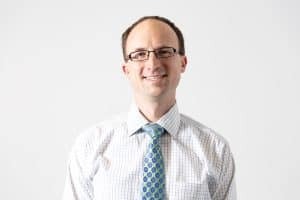 Prior to joining SCSJ, John worked for six years with the Office of Appellate Defender, where he represented indigent clients in direct appeals before the North Carolina appellate courts. John previously practiced law in both Pennsylvania and California. For four years he was a staff attorney with Bay Area Legal Aid, where he represented tenants living in subsidized housing in San Francisco and Oakland. In that role, he litigated eviction defense cases and represented plaintiffs in civil litigation raising fair housing and civil rights claims. John is a 2004 graduate of the University of Chicago Law School and a 2001 graduate of UNC Chapel Hill, where he was a Morehead-Cain Scholar. In cases that highlighted the intersection between our criminal justice reform and voting rights work, SCSJ represented five individuals who were charged in Alamance County, North Carolina with voting while ineligible due to criminal convictions. We filed motions to dismiss the charges on the grounds that the statute allowing the state to seek felony convictions without proving knowledge or fraudulent intent was unconstitutionally enacted with racial animus and the intent to suppress the African American vote. All of the felony charges were dismissed when our clients entered pleas to misdemeanor obstruction of justice.